New study recognises the role.. The study, undertaken by Dr Emma Ward, University of East Anglia and published in the International Journal of Environmental Research and Public Health, found that vape shops provide behavioural support which could help people stop smoking and remain smoke free. According to the research, shop assistants were “really keen to understand customers’ smoking preferences and are able to give tailored advice about the most appropriate products.”. Additionally, the report recommends the NHS should consider working with reputable vape shops to help smokers quit. A controversial e-cigarette which was licensed for medical use two years ago has been shelved by its developers. BAT’s eVoke, approved for use by Britain’s National Health Service, was seen by some experts as an opportunity to bring vaping under the control of the health service – but now BAT say it’s been overtaken by progress. Big Pharma is not a character in the Viz comic, concerned with interlopers on crop fields or raising giant chickens, but the latest vape-related study is almost as amusing. Despite stating that young people don’t vape as much as older vapers, a variety of flavours apparently compels them to vape more. 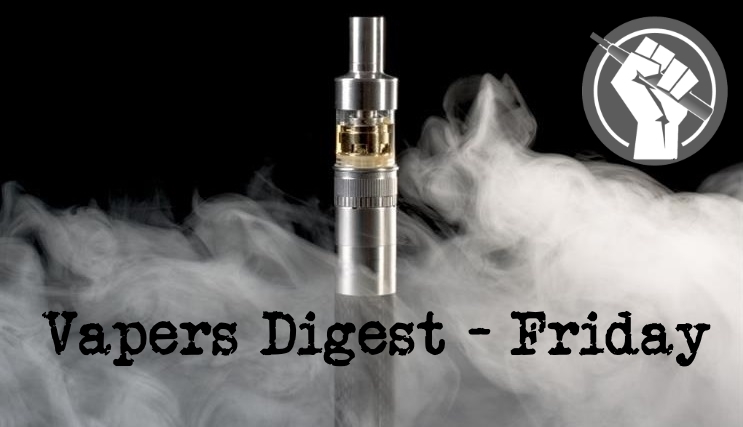 The pharmaceutical industry has been hit by an increasing number of quitters opting for vape products rather than use their old and failed nicotine replacement products. Big Pharma watched revenues tumble while people turned their backs on inhalers, patches and gum in droves. Pushing disinformation is standard fare for the propagandists in the tobacco control movement. More disturbingly, that disinformation is also produced by people who are supposed to be university scholars and journals that are supposed to be scientific. This once again raises the question: How low will they go? The latest of many examples of the disturbing behavior of academics betraying the truth is a peer-reviewed article in the journal “Preventing Chronic Disease” by Sarah D. Kowitt and colleagues at the University of North Carolina. Vape manufacturer JUUL Labs was forced to issue a public statement (shown below) in response to a wave of internet rumors about the company’s flagship JUUL product causing lung cancer. The stories seem to have begun on college campuses, although it’s impossible to pin down the exact sources. According to The Tab, the stories have circulated at New York University, Iowa, and the University of Southern California. A new study, published in the European Respiratory Journal, explores the association between e-cigarette vapour exposure and the susceptibility of cells to bacterial infection. But Australia remains firmly in the ‘no’ camp – at least for now. E-cigarettes that contain nicotine pose only a fraction of the health risk of tobacco and should be encouraged among smokers, British public health experts say. In a review of evidence on e-cigarettes commissioned by the government-backed Public Health England, experts say e-cigarettes could already be helping some 20,000 UK smokers a year quit tobacco – and possibly many more. On Feb 1, Singapore’s Ministry of Health (MOH) brought into force new measures targeted at further reducing smoking rates in Singapore. (Buying, using and possessing imitation tobacco products like e-cigarettes will be illegal from Feb 1: MOH; Jan 26). Singapore has always had tough laws to curb smoking, including a ban on cigarette advertisements, heavy taxes on tobacco products, a minimum age limit to purchase such products and graphic warnings on tobacco packaging. In fact, MOH is currently seeking public feedback on such packaging. Switching from smoking to vaping may not be as easy as it seems, a new study has found. Some people who switched to vaping as a way to give up smoking still regularly used traditional cigarettes because of a strong attachment to and nostalgia for the “real” thing, an Otago University study found. This included emotional attachment to the ritual of smoking, and perceptions of vaping as inauthentic. Simple Simon Chapman has been heroically doing his Canute impression at The Conversation by employing global cherry-picking on steroids to pretend a bunch of vaping truths are actually myths. Comical stuff like this for example. Centers for Disease Control data from 2015 demonstrate a concerning sudden cessation and plateau in the previous decline of US high school students smoking tobacco, while e-cigarette use is skyrocketing. Health officials, politicians and distinguished “experts” have, with all intents and purposes, descended into subliminal tobacco promotion – pro bono. Nice work! Despite fictitious and contrived positions against tobacco, they have consumed themselves by demonizing e-cigarettes. The tobacco companies didn’t have to ask. The pharmaceutical companies sit quietly on standby. Healthcare organizations are dancing in the streets – still bleeding from loss of revenue. Government officials can barely contain themselves. I mentioned in last night’s post how a Zealot became hysterical when she was asked ‘whose children’ she was referring to when she demanded that ‘our’ children should be protected from SHS. The likes of ASH ET AL, and Arnott are very fond of manipulating words and phrases. For example, they might say, “We are worried that…” Who are the “WE”?